she can quilt: How about Botanics for Giveaway Day? Today is Sew, Mama, Sew's Giveaway Day, which stretches out to be giveaway week. Welcome and feel free to look around if you are new here. I went shopping during the Black Friday sales and bought a whole bundle of Botanics, by Carolyn Friedlander to give away to one of you this week. It is waiting for the winner's information, safely on the shelf at the Fat Quarter Shop, as there is no way it would have made it to me, in Canada, in time for the giveaway. I think this is my favourite of all the new fabric lines that have come out this fall. 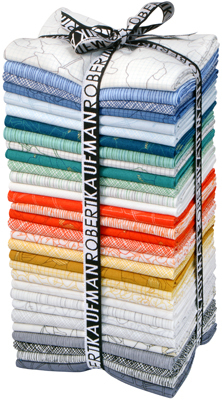 Since I don't have more pictures, I will let you know that you can read more about this fantastic fabric line at Robert Kaufman here, or at Carolyn Friedlander's website here. 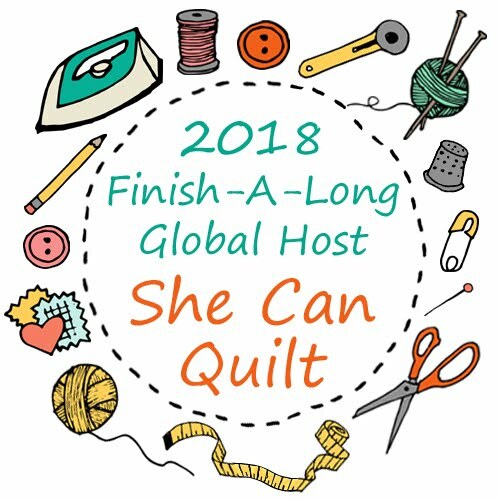 Leave one comment on this post, sharing an idea for me to consider for my next quilting project. I am itching to start something new and looking for ideas for patterns or techniques or whatever else you want to share. Make sure your email is attached to your profile or you leave it in your comment. Don't be that person who misses a chance to win because I cannot find you. Good luck to all of you, I usually cannot respond to every comment in a giveaway, but I will be reading them all and thank you for the ideas. And, go and check out all the other giveaways, I know they are going to be great - I will be doing that too. The supply giveaways are here and the handmade giveaways are here. Oh, and I am excited to say that my never ending matchstick quilting project, Sunset, is finished! All I have is this sneak peak right now, she is proving very hard to photograph. I am going to work better photographs this week - stay tuned. What if you did a low volume version of sunset with brightly colored thread on top? I'm not sure I could give you any great suggestions as I look to your work as inspiration. Love all your circles, colors, quilting and everything I have seen! Awesome giveaway! Maybe an improv style medalion quilt? Fantastic giveaway!! I am currently stumped as to my next project, but maybe steam punk? I think I would give that pattern a try with these fabrics if I won. Thanks for the giveaway! Botanics looks great! There are so many patterns out there so I do not really have any recommendation for you. What I would love to see is a "bubble quilt"- circles in no line and order spread over a top maybe with a little "I spy"-fabric in the center. Something else I love is straight lines crossed by an other line - like playing Mikado! I think something using men's shirt material or plaids? I could really use some inspiration in that direction! Thanks for the chance to win this WONDERFUL giveaway! Leanne, Sunset looks great! The quilting add such great texture. I can't think of anything to inspire your next project. I know you'll come up with something fantastic. You always do! How about an ombre quilt (all triangles!) I think they're quite funky looking!! With the lights and darks, you've got to do something with low volume.....the dreaming will be the fun part! I would be tickled to win this. I only have three quilts under my belt so have nothing to offer you in terms of ideas but I love this line thanks for the chance! Wow...I am in awe of that sunset quilt and it leaves me blank on suggesting something new. Thanks for the giveaway. I love finding new blogs like yours! Your work inspires me to look at the world in different ways. Thank you so much for the giveaway. It is wonderful. Based on your work, I'm pretty sure that anything I have my eye on starting up next will be well below your skill set! I have recently realized that I give away almost everything that I make, so for a quilter, I have very little around the house to show for it. In 2014, I'm planning on making a few things for our home, and I'd love to make something with Botanics-what a generous giveaway. Thanks for the opportunity! What a great giveaway. I have this bundle on my wish list! I've loved following your matchstick projects. I'm still new at this and looking for my own inspiration but how about something with transparencies? Thanks! Very generous giveaway! Thanks. Put all the ideas for the next project in a hat...and draw a winning idea! What a great giveaway! I like looking to you for inspiration, I am a new quilter and don't have any suggestions. I'd love to see your Cycles with ovals. I'm very excited to tear into a new (to me) pattern called Geese in the Forest by Twiddletails. Of course, until the holidays are passed, my dance card is full. This is the BEST giveaway ever!! I have yet to see any of the Botanics line in person but know I will love them all! 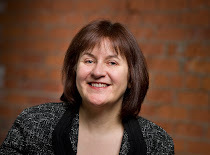 It's hard to make a suggestion to you as I follow your blog for my inspiration! I took a class last summer from Jacquie Gering where she taught the technique "slice and dice". It has endless possibilities! I've been dying to do some HSTs lately--maybe a solids HST quilt with a random layout? thanks for the giveaway! I want to do a flip-strip quilt sometime soon. Simple enough but I just love how just flipping the pattern over adds some depth to the pattern. I also just got a hexie ruler so I'm itching to try that out. LOVE this line and think it would be awesome used with the Single Girl pattern. Sunset came out amazing! What if you made a quilt inspired by matchstick quilting? Lots of thin, long strips. I don't know how inspirational it will be, but I really really want to start the Round and Round by Camille Roskelley. I keep being tempted with all the gorgeous versions on IG!! I'm only now working on my 3rd quilt, and the first 2 were from my baby clothes... it is so hard for me to think in terms of quilting stitch lines... anyway, I once saw a huge log cabin block where the entire quilt was one big block. That seems like it would be a great match for your style of quilting... the simple piecing design lets your stitching shine. Can't wait to see what you do next!!! I like the idea of doing a simple quilt using a pattern like Swoon, New Wave, or just a sampler using all the great 12" free tutorials online? 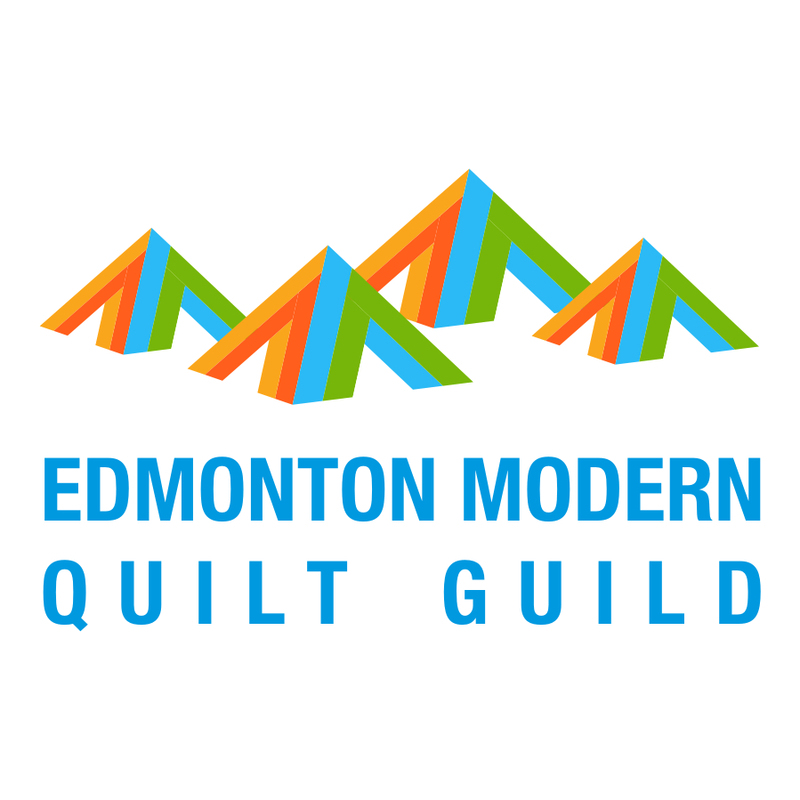 Have you started on your MQG challenge quilt yet? Maybe that should move to the head of the line! How about some pillows? Thanks for hosting such a generous giveaway. Oooh, what a fantastic giveaway. As always, I am in awe of your matchstick quilting process-way to go! How about something new with diamonds? Sunset is beautiful! I am starting a quilt using 60 degree triangles for my daughter. Maybe this would contrast with your recent circles work. Love your matchstick quilt and looking at your work, I would not know what suggestion I could give you, I am now just trying to use triangles and different values of colors on a quilt. How about Curlique Crush from "Chasing Cottons" ? This is an awesome prize - thanks kind lady! How about some paper piecing? I browse your flickr stream and can't see any there so thought you might enjoy the challenge of something different! OOH! I love this line as well! I would give "Midnight at the Oasis" a go..
Wow, you finished the quilt! I've been reading your updates on it and wondered if you finished it yet. Can't wait for more pictures of it. I know I've been wanting to try some Swoon blocks myself! I would make an X Plus quilt. I have loved this fabric since I first saw it and would love to win. Thanks for the chance. I'd love to see how others put together a quilt of all squares (same size) and get it to look random without stressing about block placement! This bundle looks awesome! This is such a great giveaway. One of my next projects is going to be a "made fabric" quilt like Victoria Findlay Wolfe's quilts. I'm pretty excited to really bust my scrap bin. flying geese of all sizes using this bundle. I was just thinking it is almost time already to start something fun for Valentine's Day! You know, I totally feel the same way about Botanics! It's far and away been my most highly anticipated fabric line (although with all the Christmas stuff going on, I just haven't purchased any yet!). I'm just looking through your Flickr stream, and it seems like you've done all sorts of projects with different techniques! Good on you:) How about themed, paper-pieced blocks? Or maybe Hawaiian applique? Or stamping? Hope the giveaway offers you loads of inspiration! What an amazing giveaway!!! You've done triangles and circles lately, how about another shape - hexies or diamonds? Whatever you do, I am sure it will be great! This is a great time of year to make a table runner that is good for the holidays and through the winter. I recently made one from Winter's Lane fabrics and I am thrilled with it. Of course, it will be a gift, but come January I might make something for my own table! I love your circle quilts and your use of thread changes is brilliant. How about doing different size circles in a medallion setting or big circles on the bottom and going up to small circles on the top. What ever it is just keep on quilting. I really enjoy looking at your work. How about working with only two colours with as many different hues and patterns? Something like Dear Jane or The Nearly Insane Quilt which is my next project! Your sunset is just out of this world. It took me back to my childhood where we used to watch the sun drop down into the sea in exactly the same colours..
What a wonderful giveaway! This is on my Christmas list of wants as well! Not sure what you should work on but I am going to start a strings quilt with low volumes. I need to use up some scraps! Thanks! a quilt made completely out of scraps would be my suggestion. Thanks so much for this fantastic giveaway. Your new quilt looks amazing, and that quilting WOW!!!!!! I love the idea of super sizing blocks. What about doing a super-sized paper piecing project? Swoon is one of my favorite patterns. I also got inspired last night to use a bunch of my scraps to make a pick up sticks pattern. I've just finished my first quilt ever and turn to your site for inspiration...! So not much to give to you in return for now, only big compliments on your very inspirational, informative website and one-of-a-kind quilting style. Would love to win Botanics because modern fabrics and low volume were the exact reasons for me to start quilting in the first place. Thank you and happy holidays! Oh my dog I love this line! There are so many great low volume prints. I think I would do a flying geese quilt. Like a which way is north kind of thing or I think 'film in the fridge' just made a cool one. What a fantastic give away. Thanks for the chance. If I don't win it I'm heading to the fat quarter shop to buy it. how about a dan rouse-esque reverse applique quilt? Fun giveaway; Thank You!! Amazing Sunset quilt! I'm just about to embark on making the same ~16" block in 4 color stories to represent each season. I think it's kind of neat to see the same quilt/quilt block in different colors as different parts of the block/quilt pop with each combo. Thanks so much for the giveaway! My next big project is going to be something paper pieced with curves, like Single Girl or Ring Toss. I'm going to try to use my cool scraps and have been cutting things to the right size. I'm looking forward to starting! I have been enjoying a long term appliqué project. Thank you for the give away; the fabric is wonderful. I new to quilting and I am in awe of your work so I certainly wouldn't t presume to come up with suggestion besides I just don't know enough yet to do so. I look to you for inspiration! I have been enjoying your use of colored threads. My bucket list includes a crazy quilt and a double wedding ring. I love the Botanics line! Thanks for this giveaway!!! I am looking for some quilt using only solid prints. How about a medallion quilt? I just started the marcelle medallion quilt from Liberty love. So much fun! Thanks for the giveaway! I having been wanting to make a medallion quilt or try some reverse applique. Maybe both? Thanks. I've loved all your circle projects . . . they're all stunning. Maybe next should be long triangles. Thanks for the chance. Just keep doing what you do girl-it seems to be working! Been loving the circles, especially the matchstick quilting. Amazing Quilt! The quilting is gorgeous! Maybe some improvisational trees? Your sunset quilt turned out just fabulous! WOWZA!! I'm currently obsessed with diamonds. I would say you do some kind of a diamond quilt? I just finished an exploding lonestar top. It was fun to work with a different shape. Well, I will shamelessly promote the Pillow Pop sewalong over on Threadbias. I love that book and have been making pillows from it. I could see the Modern Chevrons pattern in Botanics...or the Gumdrop pattern (which will be one of the patterns we are stitching together in January!). I have been following your Sunset progress on Flickr and I love the matchstick quilting! It's perfect. Join in on the Feather QAL hosted by Nydia from ADD Crafter. As for your giveaway - seriously generous!!! Sure hope the random numbers pick my number. Great give away! How about a small picture fiber art quilt? Sunset is stunning. Those circles just glow. My suggestion would be a pick-up sticks kind of variation - lots of colour but with skinny strips at hither and thither angles. Holy cow, what an awesome prize, this line is wonderful! I'm not sure I'm experienced enough to be giving you ideas, lol. But Improv and low volumes are on my want to do list! What about a Steam Punk quilt? Lots of possibilities! It's been sitting on my "to do" list for ages now. A quilted floor mat would be awesome. Gosh, so generous. I think you should make my Helsinki Square Dance pattern in Popular Patchwork magazine that I blogged about this weekend, let me know if you want a copy ;) Or how about doing half rectangle triangles in any other ratio than 1:2 and telling me how on earth to do it without paper piecing?! Your work is inspirational! Since you've been working with shapes, perhaps some sort of an arch? Thanks for the generous giveaway!! get the book Material Obsession 1 or 2 and just open it up. by the way, I have been following Sunset and I think it needs to come to my house! You make such beautiful things! I've just finished an big architextures quilt, Christmas present for my brother, so I would use this FQ bundle for a similar quilt for myself! Maybe a quilted floor mat with darker colors would be an idea for you? Thanks for the chance to win! That's so generous of you! :D I'm suggesting puddle jumping pattern by thimbleblossoms since it looks so sweet! :) love your sunset! What an amazingly generous giveaway! I'm itching to do a plus quilt and I think these fabrics would be pretty great for that - that's my suggestion - though your ideas are always so fabulous! What a beautiful quilt! What about a paler version named Sunrise? I want to do a scrappy Churn Dash in very modern fabrics - maybe something that mixes some improve with a touch of tradition? What ever you choose, it will be fab!!! Thanks for the great giveaway chance! Yikes, my loong comment seems to have vanished into thin air. Forgive me if it's somewhere and I'm appearing as a double. Anyhow, thank you for the fab giveaway, this is a gorgeous bundle! As for an idea, why don't you try your had at creating a carrying solution? An overnight bag, or a carry-thing for your cutting mat, ruler, and cutter, for you to use should you decide to go on a quilting retreat, for example? Very generous giveaway. You do such amazing work that I can't really think of anything more inspiring that what you already do! I do love Sew Kind of Wonderful's patterns, especially the Urban Nine Patch. I can't get enough of curves, even though I don't do many of them myself :D. Thanks for the chance to win. wow! Your quilting is out of this world! I don't know how I can suggest anything better! I like making small things to give to friends. Placemats, mug rugs, ect. Ah, Botanics! I adore this line!! I am itching to do all of the quilts in the new Vintage Quilt Revival book. So much inspiration! I absolutely love the Botanics line. As far as suggestions, what about tote bags, as gifts, for the Holidays. OMG I jumping up in down with happyness hoping I could be lucky enough to win this totally wonderful bundle!!!!! Love this fabric line!!! I just bought the book Sunday Morning Quilts and I truly love every quilt in the book! If you are looking for a project to use up some scraps then this would be a great place to start for a new project! I am getting ready to try QAYG for the first time on a quilt! Looks fun and totally doable! Hope this helps! I love this line of fabrics, thanks for offering. No suggestions, just keep doing what you are doing. What a kind giveaway! Thanks so much for this opportunity! Perhaps you could try doing the exact opposite of these circle quilts - small geometric pieces with widely spaced quilting. I'm quite new to quilting but I love the concept of machine binding the quilt--I'm a rather impatient sewist! I really love your matchstick quilting projects. I think you should throw a curve into it though and see how that would look. I mean literally make a curved line of quilting and closely echo in matchstick style. It would look great in one of your circle projects. Thanks for an amazing give away! I really don't think I am qualified to suggest ideas to such an talented quilter but I have just pieced a feather quilt set in a circle for my daughter, haven't started the quilting yet but I know you could make a quilt like this into something awesome. I love the Botanics line. How about trying some of the great blocks on the do. Good Stitches Flickr group. How about a medallion quilt. I know you'd put a very unique slant on it. I am collecting patterns for textured and 3D quilt blocks to make into a wallhanging for my little niece. Thanks! Wow Leanne it looks so amazing! Well done you!! How about a plaid quilt? And WOW - what a cracking giveaway! FInegrs crossed for sure! Look through patterns and/or templates that you have but haven't used yet, and find a new design! I've been playing with a Dresden Plate template and there are many fun and new ways to use it. Thanks for the chance. Drooling over those fabrics. I leave the ideas to someone with a lot more imagination than I have. That's why I buy patterns. I wouldn't mind learning more about the "confetti quilting" technique - by you doing it and me reading about it of course. I think you should do a study in large triangles next (or large and small?). Maybe a mixture of pebbling and matchstick quilting? Botanics is luscious - thanks for the chance!! so cool, I'm looking at doing a chevron quilt next, so maybe you can too. Gorgeous texture in your quilts! Sunset is amazing and I love that little piece in your blog header! I think this will be the most popular giveaway this time around. Beautiful colors and prints in Botanics. I was going to suggest pickle dish, but I see you are already making a great one! Love to see your take on churn dashes (which I love), wonky or straight! I just finished a scnibbles quilt am debating between another, a star/logcabin quilt, or trying paper piecing. It isn't a new idea but this is the year I do two new things: I am going to do Tula Pink's 100 Blocks and I am going to dive into paper piecing. Fantastic giveaway! I find transparency quilting an interesting concept to explore. Hi Leanne! How about really large pickle dish blocks made with the bright colours that you use? Great give away! I'm too new to give any great advice, but I've become thoroughly fascinated with paper piecing, so that's my suggestion for your next project! Oh I was going to suggest something chevron too, but I see it was already suggested! Great giveaway Leanne, think low volume based on a traditional pattern would be an interesting direction for you! You should try an I-Spy quilt! I've been collecting fabrics (for what seems like forever!) for one. Thanks for the chance! This is awesome!! I am not even experienced enough to try and inspire you!! I don't know that I am qualified to give suggestions as you are a big inspiration. I love everything that you make! Love the fabric! I think you should do a low volume quilt! I too don't have much experience under my belt - but I'm thinking what about a quilt with curves to form waves to go along with the Sunset quilt! What a great giveaway - thank for for the opportunity would love to make a new quilt or two from the beautiful fabric. I would love to see a quilt with windows... not sure how to explain it. But looking at the quilt would be like looking through a window at an English garden, or the ocean sunrise, or your own backyard... or your family. Not sure how to make that happen. Anyways! What a great prize! Thank you for participating! Right now what I can imagine is a really modern quilt with a lot of whites made with Botanics. Thanks for the chance. I agree with one of your readers who says that her skill set is well below your level (meaning: mine is, too!). But maybe I'll second another reader who suggested a Medallion. Yes! I love the Marcelle Medallions I've seen floating around cyberspace. I would say try one of the blocks that include curves . . . I'm thinking the Retro Rubies in Modern Patchwork. It's just gorgeous and I'm in the midst of it! Thanks for the wonderful giveaway! I'm in awe of your matchstick quilting. I just got started on a Double Irish Chain for my bed, but I cannot wait to get started with the APQQuiltalong quilt, Tone it Down! What a great quilt! Cathedral windows look fun to me. I think some pillows with your match stick quilting would be absolutely incredible! Thanks for this amazing opportunity! Ever try a mystery quilt? My big project for 2014 is a scrappy paper pieced pineapple quilt, 240-4" blocks! It looks like a swoon quilt to me! that's the same question I'm asking myself .. what to do next?! I would be curious to see how your cycles pieces would look if the background was quilted with lines in one direction and the circles had the lines in another. I love the ones you have shared with us so far and particularly like how the different thread colors interact differently with the colors underneath. Beautiful work! No matter what you choose to do, I will be looking forward to reading about it and seeing it come to life. Oh boy! Me inspire YOU! Hah! I've gotten some of my best ideas from your blog. Your circle quilts are amazing. How about a solar system-like image with graduated circle sizes? It has to speak to you. I like to go to various sites like Geta and then think about it. She has some beautiful work going on. 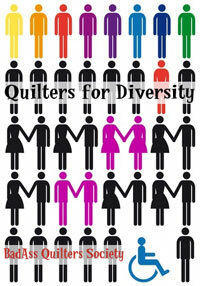 Quilt Inspiration is another wonderful website for motivation. How about something simple with 30's fabrics. A back to the begining for the new year. You should try an art quilt-- the idea of creating a painting with fabric is so amazing to me. Thank you for hosting this awesome giveaway! I find that doing hand applique or hand embroidery is very relaxing and great for those evenings in front of the tv or the fire. I'm a little bit obsessed with wedding ring patterns, particularly a lot of the ones that came out of the Modern Quilt Guild challenge a little while ago. I'd love to see your interpretation :). Fabulous giveaway Leanne. Love how Sunset has finished, its gorgeous. I don't know what projects to suggest: I am sure you have done them all already! I am fairly new to quilting so I am usually looking for ideas rather than giving them. I have just started a new quilt called Country Charmer by sewn wild oaks which I am loving doing. I've just had a browse through your site and think I would be at a loss to find something to inspire you with, but one of the things I like to make for friends with pets ( and for myself) are pet mats... or mini quilts, my cats have about 7 or 8 themselves and I've made no end of them for friends. I'm due to make some for my local RSPCA for their help recently. what about really low volume shapes that would be matchstick quilted in really lovely sunset colours? Wonderful giveaway! So generous. :) Love what I can see of your latest finish, all that beautiful texture. As far as inspiration, have you thought about finding a famous artsy painting and making 'your' interpretation of it? I love your sunset quilt. What about a companion piece. On the edge have some half circles and make chevron strips coming out at random angles? Show your Canadian spirit and make some modern Canadian Maple leaves! I would LOVE to get this fat quarter set. I hope I win, I hope I win, I hope I win. Would love to see more flying geese, you quilts are gorgeous! Thank you for the chance to win this fabulous fabric, Botanics. Loving how your Sunrise has turned out, it is absolutely amazing. For your next project maybe a design of your own - take ideas from patterns you love most and combine them into a personal quilt design. Thanks for an absolutley amaing giveaway. I've never made a quilt, so I wouldn't know the first thing about quilt patterns lol! I mostly make bags and these would make a lovely bag! Thanks so much for the chance to win and happy Holidays!! What a fantastic prize! I couldn't begin to think of suggesting your next project--you are the master! Maybe do something with low volume prints? Planned improv. Improv but not completely random. Wow! A suggestion for you? That is a tough one. I love love love your low volume quilt and you are making one of those fat pickledish quilts and an ocean wave quilt and a swirling medallion quilt and many more.....I like your circle quilt. Maybe the direction you are heading is in texture and fmq. I think you are amazingly talented and I look forward to seeing what you do! Great giveaway! I want to try out improv blocks! Those will be fun, I think! How about going old school and adding some yo-yos to your next quilt? I made a ton of them a couple of years ago and just un-earthed them in my sewing room. OMG! What a fantastic prize!! I'm a very novice quilter, so I'm not going to be able to offer you any inspiration I'm afraid. I find blogs and Pinterest great places for inspiration though. Wow! Love these fabrics! I've been wanting to make a quilt with "latticework." I have seen a few different patterns with that idea, and I really love them. I'm not familiar with your work right now, so I'm not sure I can provide inspiration - however, I will be following you for some of my own! You are so nice to share! What an awesome prize. I'm working on a Storm at Sea quilt right now. Maybe something like that? There are so many different ways to interpret the pattern.